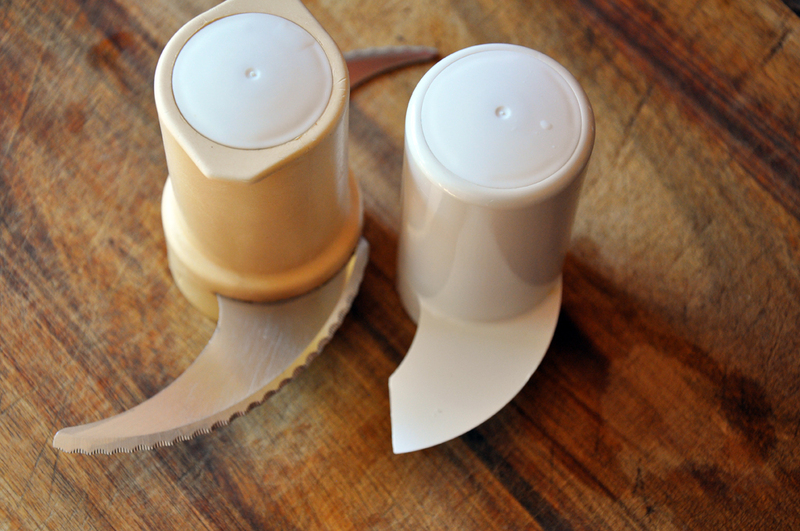 I only learned recently that the blade on the left is for breads and doughs so they don't get overworked. 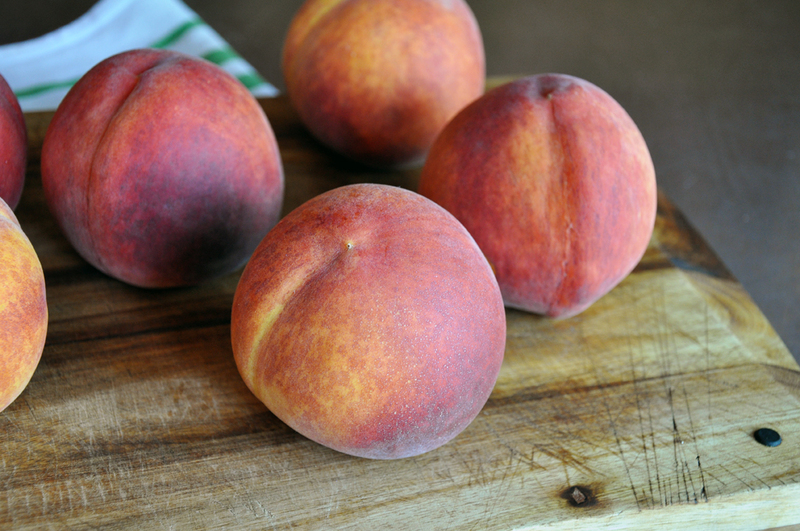 Just sliced peaches are juicy, but macerating them in bourbon-simple syrup will make them give up more liquid which will combine with the syrup - ah, yum, yes! See what I mean? 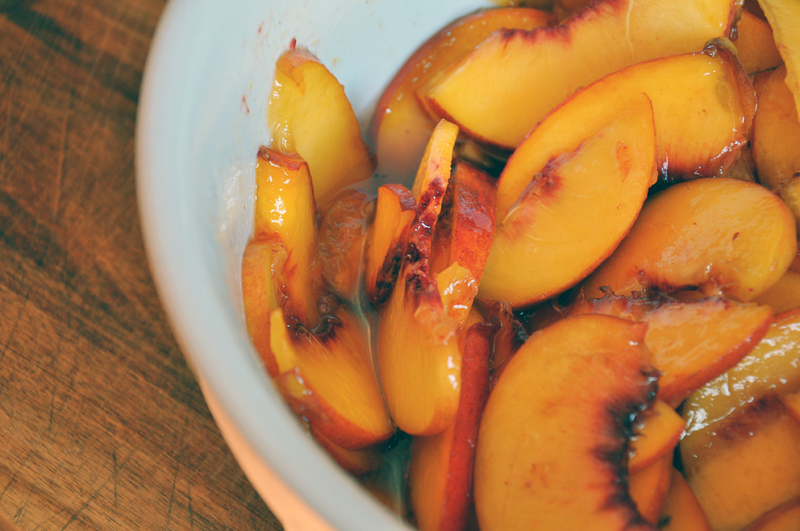 Macerated peaches are juicy, bourbony goodness! 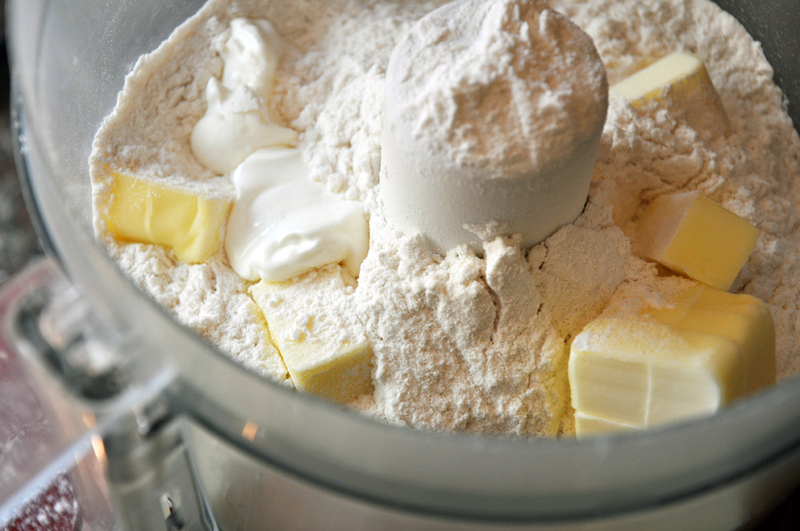 In the bowl of a food processor, add 1 1/2 cups flour, 2 Tbsp sour cream, 1/2 tsp salt, and butter. Process until it forms a loose ball and then turn out onto a lightly floured countertop and roll out into a round disk. Cover and refrigerate 30 minutes. Also, refrigerate your 9" or 10" pie pan. Meanwhile in a small pot over medium heat, combine the sugar and bourbon and whisk until the sugar is dissolved. Remove from heat and let cool slightly. 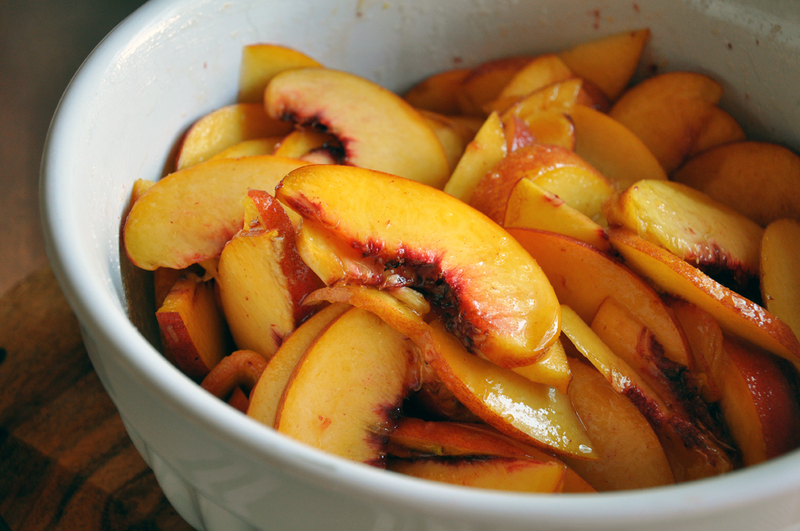 Pour into a large bowl and add peach slices. Toss and let macerate in the fridge for 30 minutes+. In a small bowl, whisk together remaining 1/2 cup flour, 1/2 cup sour cream, remaining 1/4 tsp salt and yolks. 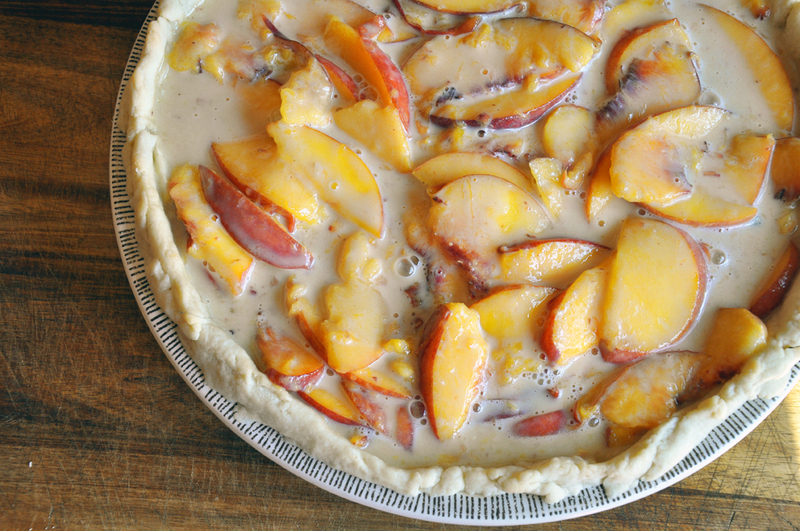 Refrigerate until peaches are ready. 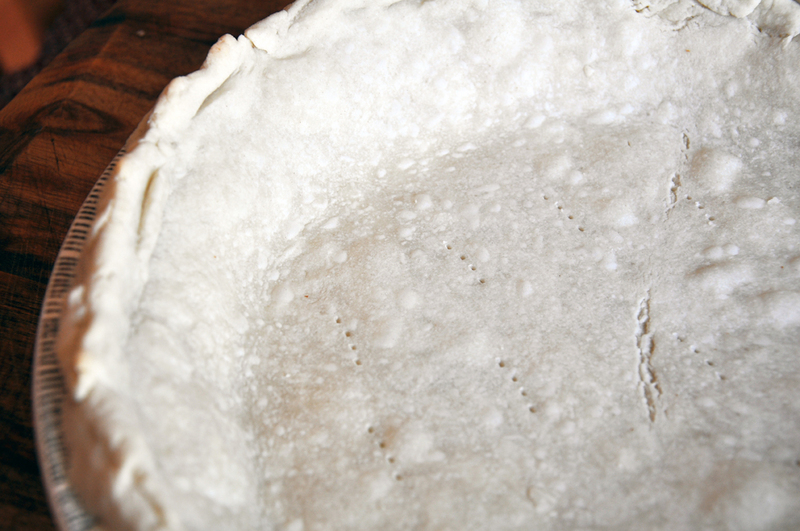 When the dough is ready, roll out to fit in your pie pan. Spray the pan with cooking spray and lightly flour it before laying the dough in. Pop it back in the fridge for another 30 minutes. 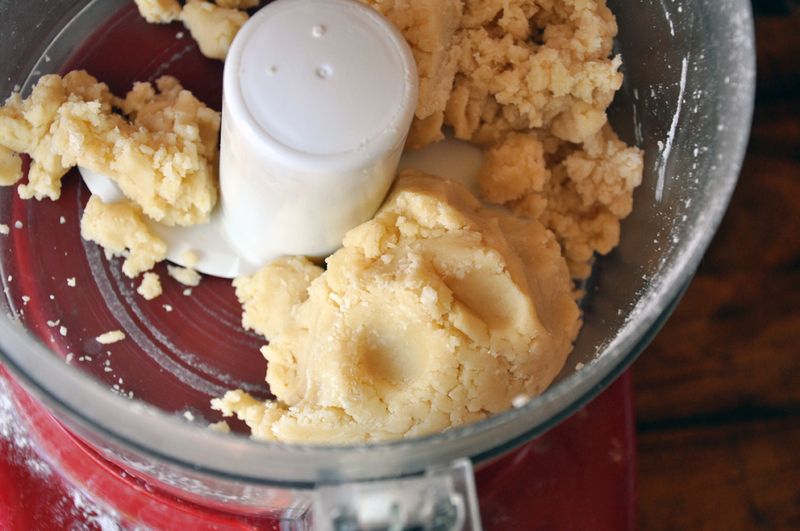 When the dough has chilled the second 30 minutes, prick it with a fork several times and put it in the oven for 10 minutes. Remove it and turn the heat down to 400. 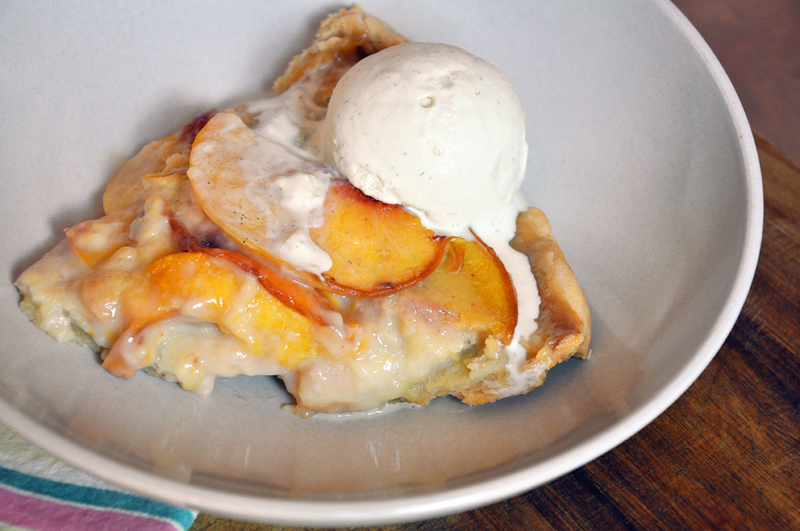 Meanwhile, gently combine the macerated peaches with the egg, sour cream, flour mixture. Pour into the crust and bake at 400 for another 10 minutes. Then turn the heat down to 350 and bake another 60-70 minutes until the custard is set. 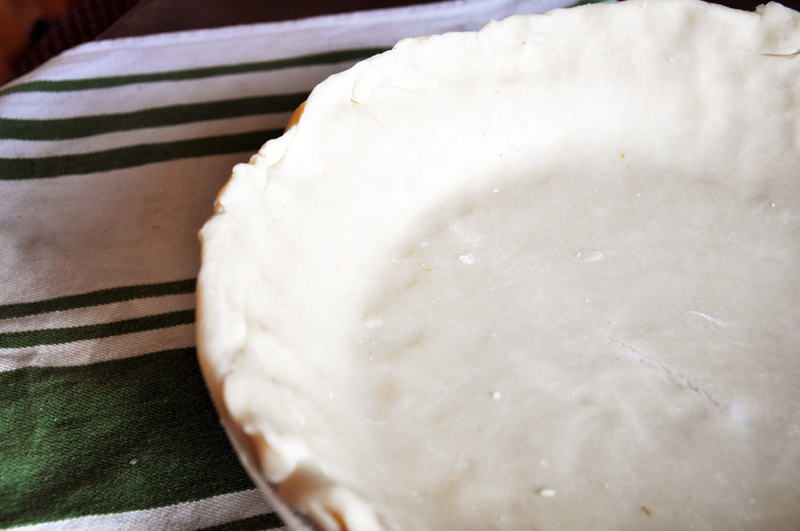 Cover the pie with a foil collar when the crust is golden brown. Remove when done and let cool 15-30 minutes (depending on how much patience you have!) before serving.